CHIRUMHANZU - President Emmerson Mnangagwa’s close ally, Gerald Mudzengi, who was Chief Chirumhanzu is no more. Minister of State for Midlands Province Larry Mavhima confirmed the death to The Mirror. Chief Chirumhanzu of the Mhazi clan, was one of the two chiefs in Chirumhanzu District. He was appointed chief in 2005 during an installation ceremony held at his home in Chizhou area. He died after serving as chief for close to 14 years. He is a descendant of Nherera, one of the two houses in the lineage of the Chirumhanzu chieftainship. However, his chieftainship was marred with legitimacy disputes which saw at one time members of his clan signing a petition to recall him as Chief over allegations of corruption and failure to respect cultural values. 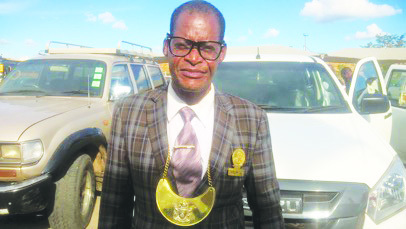 The Chirumhanzu clan members were challenging his legitimacy as chief, accusing him of taking away people’s cattle and ruthlessly presiding over cases at his traditional court, among other allegations. The Government set a commission in 2018 to investigate him over the allegations but it cleared him of all the charges. 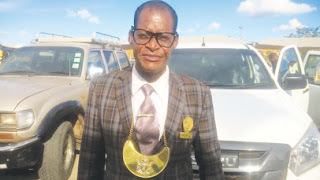 Chief Chirumhanzu served in the provincial chiefs’ council from 2013-2018 but in July 2018, he lost his bid to be re-elected into the same council during the elections that were held Gweru.